It's undoubtable that September and October are some of the best months of the year, with warm, Spring nights upon us. How are you going to spend these nights in Adelaide? At the OzAsia Festival of course! This year is the ninth year running for the international arts festival, focusing on work from Asia; presenting 40 major events including 5 world premiers. With over 170-programmed activities during the 11 day program, we’re sure you’ll find something that will take your fancy. OzAsia is helping to shape how South Australia is perceived in Asia, as Australia and Asia continue to grow closer both economically and culturally. The full program is available to check out here, but here is our guide to OzAsia Festival, 2015. 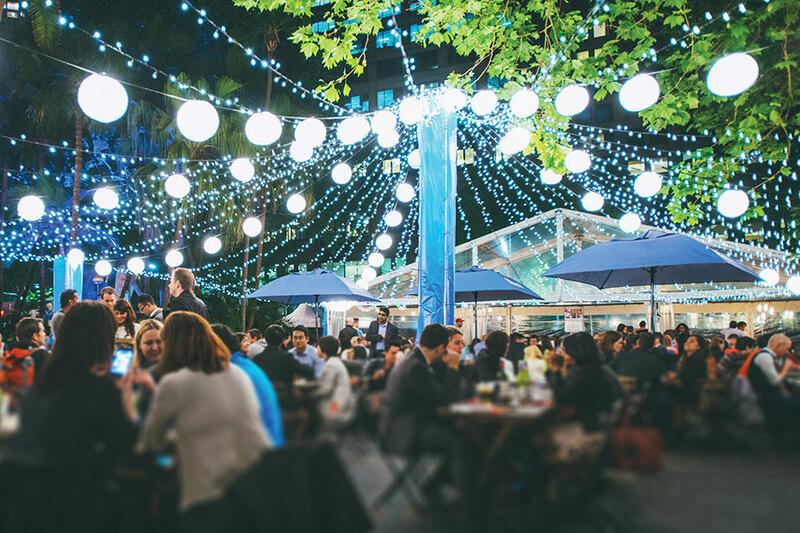 From the 24th of September for the 11 nights of the OzAsia festival, the riverbank precinct will be transformed into Adelaide’s first Night Noodle Markets. It will be a foodie heaven, as the markets will be Hawker-style with food stalls comprising of dumplings, dosa, gyoza, pad Thai, themed bars and nightly entertainment. With Free entry, food and entertainment galore, where else would you want to be? Open: Weekdays from 5pm till late and weekends from 12pm till late! Have you had enough of the conventional performances? Well your going in the right direction with Miss Revolutionary Idol Berserker. Her performances are described to be as if you are “landing on another world of disposable culture and outrageous consumerism”. Are you brave enough to take the front row? ...If it's any consolation, Raincoats will be provided. Everyone of your senses will be challenged and assaulted, with sound, colour and some random bits of tofu being hurled at you! Exploding onto the stage for a 45-minute show with 25 performers, you will be wowed by her frenetic spectacle of hyper-real pop music and dance. Performances start on the 30th of September until the 3rd of October. Australia’s largest lantern parade celebration returns again this year with the Moon Lantern Festival, which will feature never-before-seen lanterns and for the first time the Hong Kong Dragon, the largest lantern created for a moon lantern festival. This new design concept will be displayed in Elder Park where you can wander through the lantern installations and roving performances. After sunset, amazing fireworks over the River Torrens will follow the new lantern parade. The event will start at 4pm, with performances until 7pm. Make sure you have a look out for the Dragon Boat racing on the River Torrens from 2-6pm. Walking is overrated these days, especially when there is an option to take a ride in a neon-glowing, pedal-powdered cruiser (a sepeda lamp), whilst taking part in a fantastic treasure hunt of live performance art. Check out the OzAsia Website for more events and incredible performances!